PrintWeek is the highest-circulating and most widely read printing industry magazine in the UK, with an unrivalled reputation for the best news and analysis of print and associated sectors, including paper and pre-media. It provides key decision-makers with more information on contracts, plant and technology than any other title. 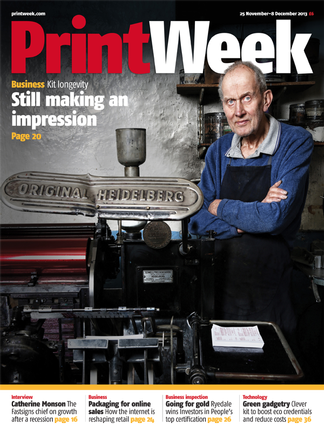 Be the first person to tell us what you think about PrintWeek and you'll save £2.50 on your next purchase!